Kangkong (Ipomoea aquatica), a relative of the sweet potato, is known by several other names, including water spinach, swamp cabbage and Chinese watercress. The leaves and stems are edible, and in Asia they're used widely in cooking or eaten raw. 1. In a pan, saute the garlic and onions in oil until golden brown. Add in pork liempo and cook until almost done. 2. Add the kangkong and the Panda Brand Oyster Sauce. 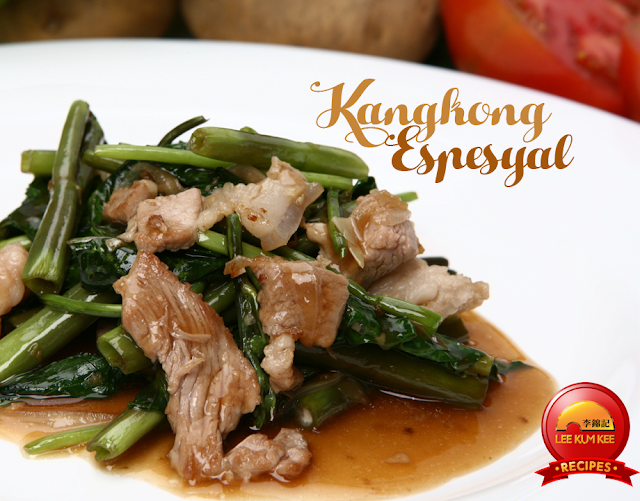 Saute until the kangkong and liempo are cooked . Serve immediately.